Our last professional production The Boy With The Bomb In His Crisps was inspired by a true story from Manal, a local Arabic restauranteur. 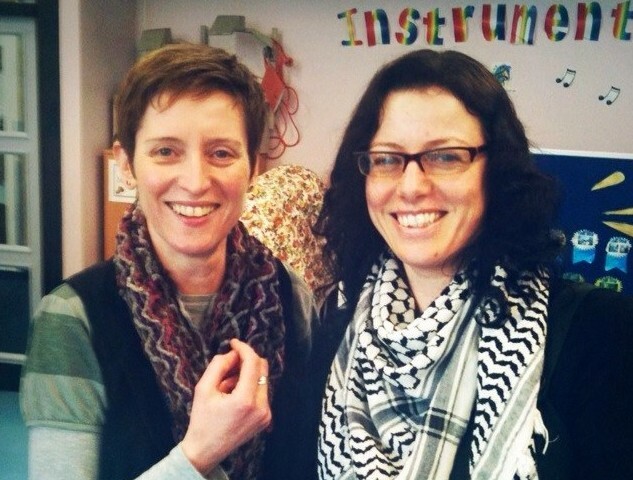 Her story inspired us to investigate what local people had experienced as newcomers. Funded by the Arts Council and co-produced by the Belgrade and Mercury Theatres, we interviewed over three hundred people, individuals and community groups, from all walks of life, on their experiences of being new to a place. We asked them what community meant to them, and what they felt makes us different and what makes us the same. The groups were diverse. We interviewed Asian businessmen, gypsies, paratroopers, Irish immigrants, refugees, religious groups. However varied the backgrounds were, they had so much in common in their experiences! The definition of brotherhood we received from one Chistian group was identical to the companionship the squaddies in Colchester talked about! Although we stayed faithful to the oral histories we received, we wanted to creatively reflect the themes we had discovered as writers too. We used an imaginative setting and story framework for the final piece. So six characters found themselves at a railway station, where the train never came. Suspicious of each other at first, they soon came together in their similar plight. To pass the time, they shared their food, their stories and their sorrows. This project gave a voice to local people and brought many local minority and community groups together. It was also a wonderful experience for Mad Half Hour. We loved the research sessions spent chatting and sharing stories and food together. We were so proud to see such a rich mix of the community sitting together in the auditorium on the first night to see the finished piece. 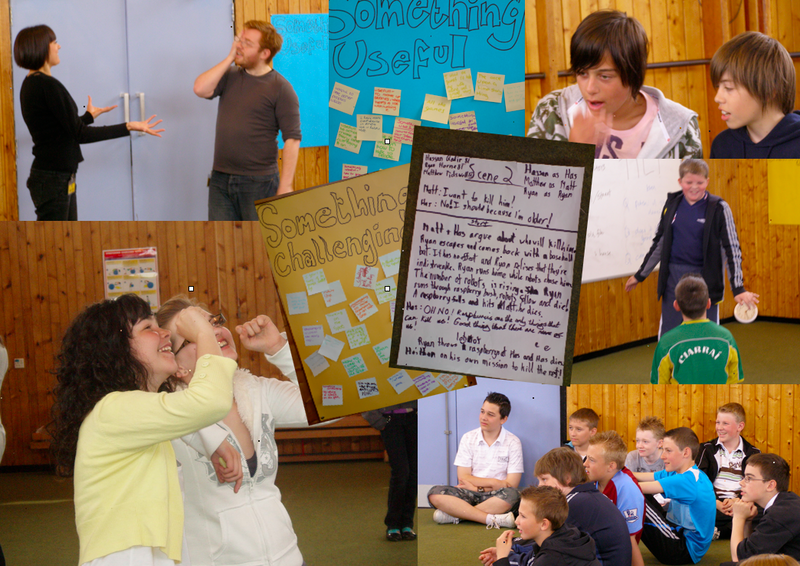 We investigated how improvisation can help storytelling and writing with Walton Priory Middle School in Staffordshire. Using professional actors, we led Year Eight pupils in a day-long improvisation and storytelling workshop. We played storytelling gamed and explored live storytelling structures from the world of improvisation. Many of the ideas for this workshop were inspired by storytelling genius and author of Impro, Keith Johnstone. Pupils improvised stories and then took notes. 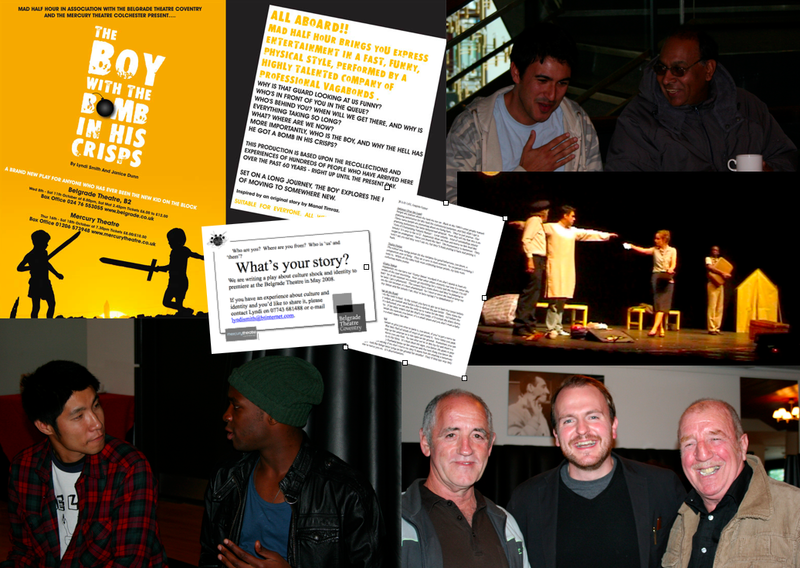 Staff commented on how free and imaginative the young people were, and how engaged the boys were in storytelling. Two pupils who regularly received learning support at school and who had great difficulty in writing found it very easy to tell stories in this format. They created one of the most inspired and imaginative stories we heard that day. It was great to see how improvisation and live storytelling can enhance writing ability and enthusiasm for stories. This project was made possible by the Arts Council’s Creative Partnerships scheme. We worked with William Shrewsbury Primary School in Burton-upon-Trent to use dramatic intervention and roleplay to stimulate storytelling and creative writing. Janice and Dunn went into school in role as NASA scientists to tell children of suspected UFO activity in the area. We asked the children if they had seen anything. Of course they had! So we set up a ‘hotline’ for information including an email address to which they could send any new ‘information’. A few weeks later, children arrived at school to find a spaceship had crashed into their playground. The spaceship was specially designed by professional propmaker Rachel Denning to be colourful and friendly. We didn’t want the children to be too scared! We covered the school in sticky footprints, sometimes one, sometimes four in a cluster, sometimes upside down or on the wall to keep the children guessing about what the ‘aliens’ looked like. Every week we returned to school with new stimulus. We dug up ‘alien artefacts’ in the school yard. We played sound recordings of the aliens and told the children they were hiding in school but too scared to reveal themselves. So children practised how to greet an extraterrestrial in a friendly manner. 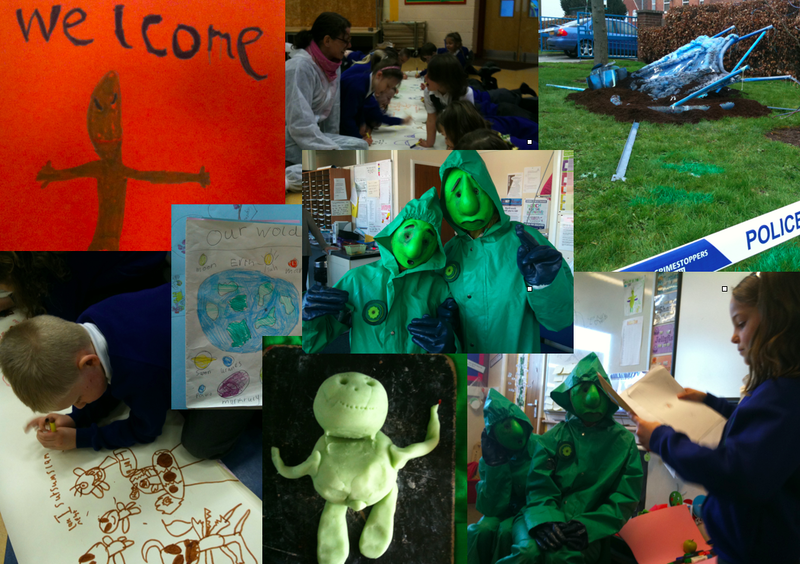 The teachers continued the theme throughout the week, supporting children to write and draw their imaginative responses. They made interstellar communication devices, models of aliens and told many stories. Eventually we took two actors in full mask and costume into school for a day we shall never forget. The aliens were scared at first of the children, so were greeted gently and led into assembly, where they proceeded to discover chairs for the first time by standing on their heads. The aliens went from class to class ‘discovering life on Earth’. Discovering sellotape was especially hilarious. The children became their teachers and tried to help the aliens understand their lives and school. Finally the children learned that the aliens needed new stories for their planet, which had run out of imagination. One week later, after NASA had discovered how to return the aliens to their planet, the children threw a goodbye party for the aliens and sent them off with a box full of stories. This project was a joy from beginning to end. The teachers provided many of the ideas for intervention and together we spent many hours in detailed planning sessions. The project had full support of teaching staff and the head, and we feel that this contributed to its enormous success. It really did stimulate writing and storytelling in the classroom. In collaboration with Short Night Films and Rawlins Community High School, we helped Year 11 pupils to bring the English curriculum to life. 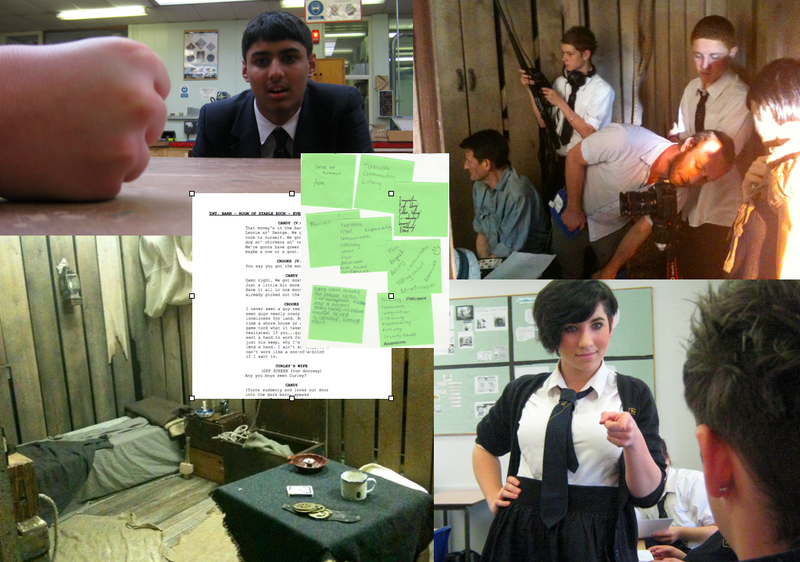 The pupils became film directors and underwent the whole process of adapting a classic text into a short film. Having chosen a section of the book Of Mice And Men, the pupils became screenwriters and edited the text, wrote the script, helped to cast professional actors and designed a set. The set was professionally made by theatre technicians and installed in the school. Professional film directors, camera crew and make up artists helped the pupils bring the words to life. Pupils became directors of photography, camera operators, lighting technicians and sound operators during the final filming process. The project also included live interventions around school grounds and a screening event. The finished film was also selected for screening at Warwick Arts Centre. Watch the short films made here. 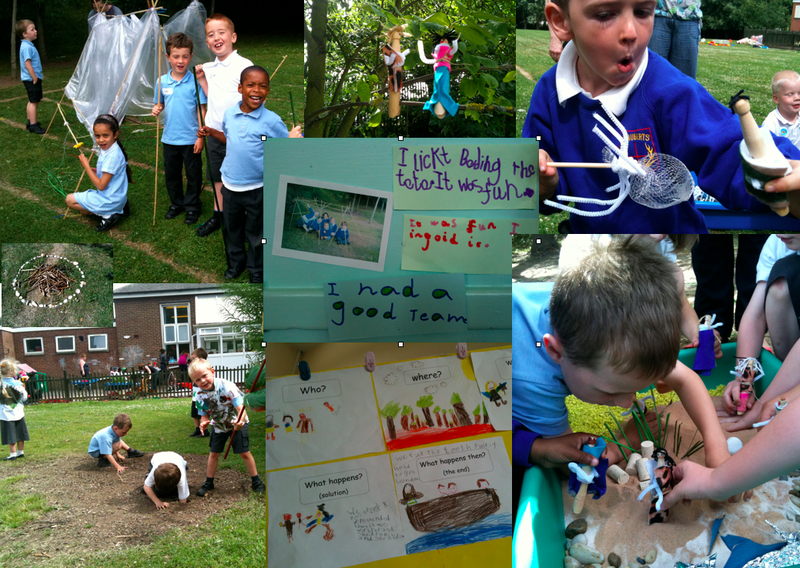 skills using characters, roleplay, art and interventions. Children imagined that the field outside was their ‘desert island’ on which they had been stranded. Lyndi and Janice led them in role as the ship’s captains. Back in the classroom, the children would reflect on their play and write stories or draw pictures of their experiences. Art was an integral part and the children built shelters, made ragged clothing, island jewellery and ‘mini-me’ peg dolls which were miniature versions of their island characters. These tiny dolls were used to stimulate further imaginative play and storytelling, as they could do impossible things like fly and climb trees. Later in the week, a pirate ship and treasure were introduced, as well as an actor in role as a castaway who could not speak English. The children had to discover how to communicate with him and put together the clues he gave them to help to tell his story. In break times the children continued to play. The project’s delivery life was one week, planned closely with the class teacher and teaching assistants. Several times we also worked with parents, incorporating them into our practical craft or creative roleplay sessions. We had a wonderful time delivering this project. The children, especially the boys, loved the adventure and the participation of so positive male role models within storytelling. This project was felt to be hugely beneficial and productive by the school, leading to greater confidence in storytelling, pretend play, creativity and narrative work.